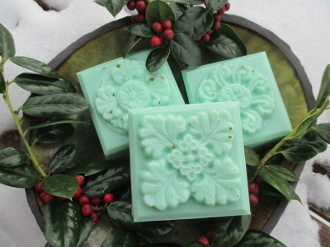 This is a lovely soap perfect for gift giving, stocking stuffers, neighborhood gifts, Secret Santa-you name it! Created with essential oils of pine needles, cinnamon, Attas cedar and sandalwood. A wonderful seasonal aroma to prepare you for your celebrations! You will receive one, large 4.5 ounce bar. Thanks for looking!